Setting up your snowboard’s stance is imperative to your health and will be a big factor in how quickly you can progress your skills. As mentioned in last week’s article, the two most important aspects of your stance are the width of your stance and the angle you have your feet turned. Dialing in these parameters will save your ankles, knees, and will put you in a mechanically advantageous position for balance, and thus, proper technique. Last week’s article focused on your snowboard stance width, but this week I will discuss binding angle. When I speak of binding angle, I am referring to the angle in which you mount your bindings to your snowboard. To know what angle your binding is mounted at, you should look closely at the area surrounding your bindings’ mounting screws. Most bindings will have an arrow that points to a ring of numbers that indicates the angle (in degrees) of your bindings. So, what angle should I mount my bindings at? Well, like your stance’s width… it depends. It depends on your ankle/knee’s natural orientation and the type of riding you are doing. 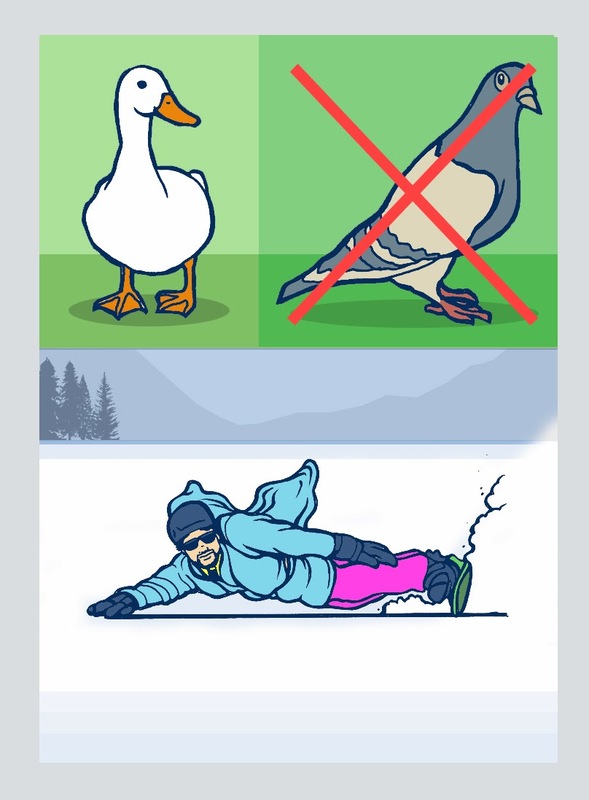 Assuming you are not a downhill alpine racer, you will want your feet to be mounted in some variation of a duck stance. A duck stance is when your toes point out, not in (pigeon stance), like a duck’s feet. Of course, the exception to this is if your feet naturally point in. 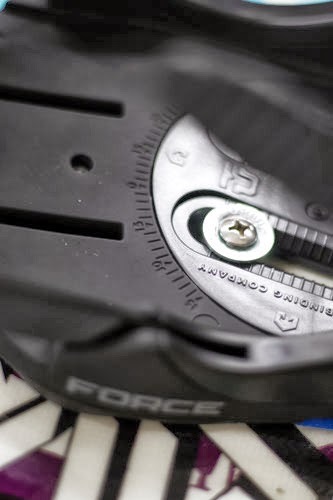 As always, the exact angle you decide to mount your bindings at will require some experimentation and will simply depend on what feels best for you. No one can tell you exactly what your stance is. That said, if you have no idea where to start I recommend a +15˚/-15˚. Which is to say that you have a symmetrical duck stance where your left binding angle measures +15˚ and your right binding measures -15˚. Give this a couple rides and then adjust from there. The great thing about adjusting your bindings is that it only requires a Phillips head screwdriver and can be adjusted just about anywhere. In general, I suggest a symmetrical stance – even for beginners. Some may suggest that a symmetrical stance is only better for advanced or park riders, but I have taught hundreds of people how to snowboard and have found it works great for everyone. My personal stance is +16˚/-18˚. It would be symmetric but my right foot naturally turns out more than my left. Remember, it’s all about what feels natural.